Accommodation, Tourism, Events, Attractions and Discount Accommodation and Specials available in Maroochydore on the Sunshine Coast, Queensland. For all your Maroochydore hotels, Maroochydore resorts, Maroochydore apartments and Maroochydore holidays. From luxury and 5 Star hotel and resorts to discount and cheap Maroochydore accommodation - we have it all! Experts in Maroochydore accommodation, tourism, events, attractions with discounts and specials. There is a diversity of accommodation in Maroochydore on the Sunshine Coast. Check out our Maroochydore rooms, rates and facilities. Every style and budget is catered for in Maroochydore, from smart resort accommodation, luxury and five-star hotels, to budget beachfront apartments and cheap hotels. 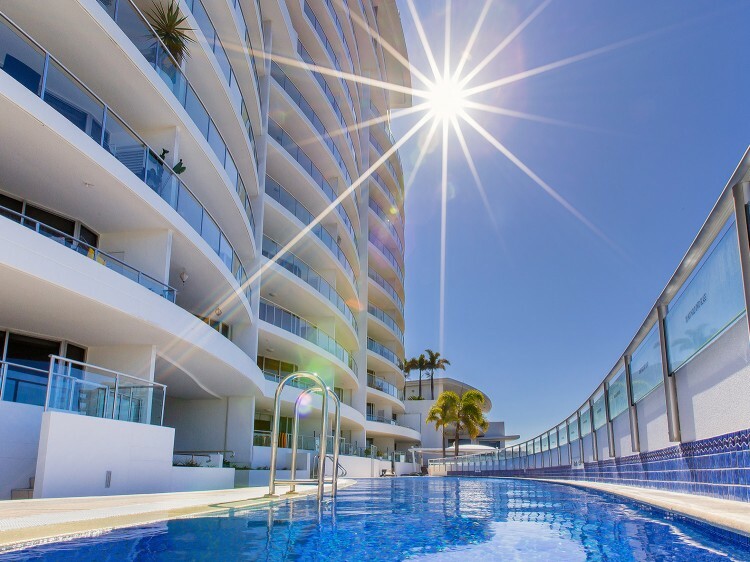 For all your Maroochydore Accommodation - Maroochydore resorts, Maroochydore tourist information, hotel reviews, Maroochydore maps, discount accomodation. Maroochydore Queensland is an information directory about Maroochydore Accommodation, Tourism, Events, Attractions and Discount Accommodation and Specials available in Maroochydore on the Sunshine Coast, Queensland. An extensive range of accommodation is available for all budgets from 3.5 star to 5 star resorts and hotels, from family holiday apartments to luxury beachside villas, and complemented by a world class array of Maroochydore restaurants and boutiques. Maroochydore accommodation offers a multitude of options to choose from. For an affordable and communal experience, try one of the caravan parks on the beach, where the kids can play all day with their bikes and scooters in between hours of swimming and building sandcastles. For couples looking for privacy, rent a seaside house just a few minutes walk from the sand, or try a luxury apartment, penthouse or resort. Maroochydore is, in many ways, the heart of the Sunshine Coast. It’s where the region’s CBD is located, but it’s far from a bustling city. Apart from its function as a commercial and business centre, Maroochydore is best known for its sensational beaches, river precinct, shopping, entertainment and recreational facilities. A long walking track runs from Sunshine Plaza to Cotton Tree and through Alexandra Headland, right up to Mooloolaba, and is always pulsing with people stolling, jogging and cycling along the waterfront.